The junior of the Zimmermann family boasts a sound of surprising richness. The Zimmermann HZ 120 upright piano is a reliable and sturdy instrument with a pleasant touch that is particularly suitable for beginners and small rooms. The intermediate size allows the sound to unfold perfectly, while the case stands out with its classical style and precise, careful workmanship. These and other quality characteristics of the Zimmermann brand will ensure your pleasure in practicing on your Zimmermann HZ 120 upright piano, especially if you are a beginning pianist. When you buy a Zimmermann HZ 120 upright piano for your child, you will immediately notice its considerably superior quality compared to that of many second-hand pianos at the same price level. This is because German specialists monitor the manufacturing of the Zimmermann HZ 120 upright piano — and all instruments of the Zimmermann brand — at the production site, and grant the Bechstein seal of quality only to faultless pianos. 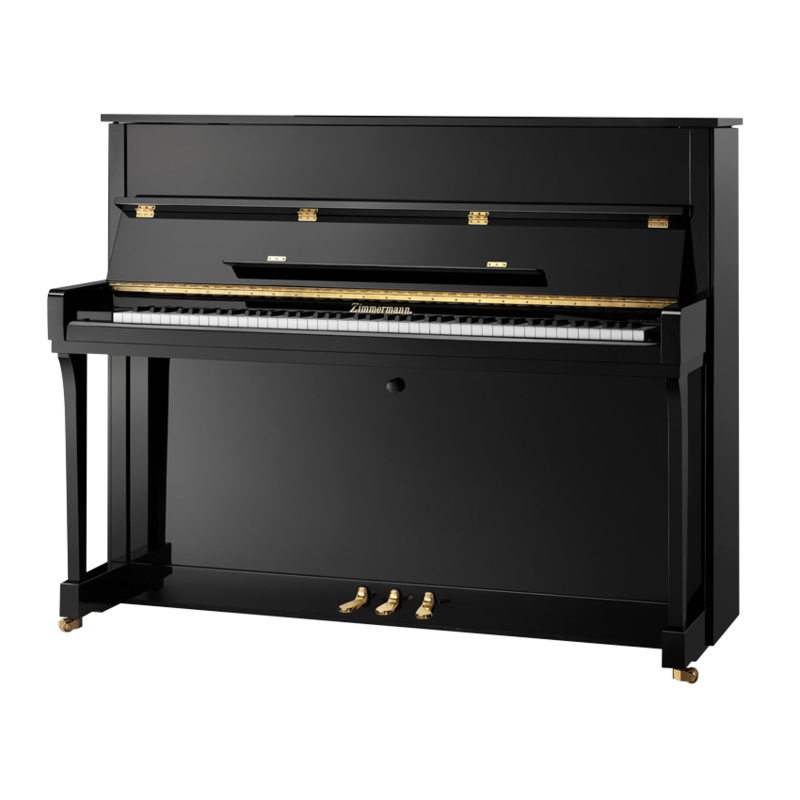 This quality management procedure sets new standards and guarantees that the affordably priced Zimmermann HZ 120 upright piano will retain its value for a long time to come.